Reinier is a Partner at Accuracy and leads the strategic advisory team in Accuracy’s Dutch office. He has a long-proven track record in strategic consultancy and specialises in strategic advice in transactional environments. Reinier joined Accuracy in 2017 from his previous position as a member of the Global Strategy/M&A team at eBay Inc, Prior to his position at eBay Inc, he founded and ran a Strategy and Corporate Finance consultancy boutique with focus to the Dutch mid-market, which he sold in 2014. 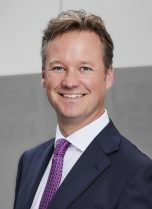 Reinier has also worked as a strategy/M&A consultant for KPMG Transaction Services and supported the KPMG board as part of the corporate strategy team. In this later role he contributed to the material restructuring of the operational effectiveness and business model ‘blue print’ of KPMG. Reinier speaks Dutch and English. Reinier has been appointed as strategic expert on commercial due diligences, business plan reviews, market-entry assessments and restructuring in many sectors and geographies, but with most in-depth experience of the Dutch market. The strategic advisory approach Reinier advocates has a strong quantitative-driven focus to support corporate decision-making in forward-looking uncertainties. This methodical approach proves highly suitable for investors and C-suite decision-makers to make strategy as tangible as possible and raise comfort-levels to decide on, for instance, investment cases. Reinier has a profound understanding of client perspectives as he has been a corporate investor, consultant as well as an entrepreneur in his professional career.